Home of the infamous iceberg which sunk the Titanic. 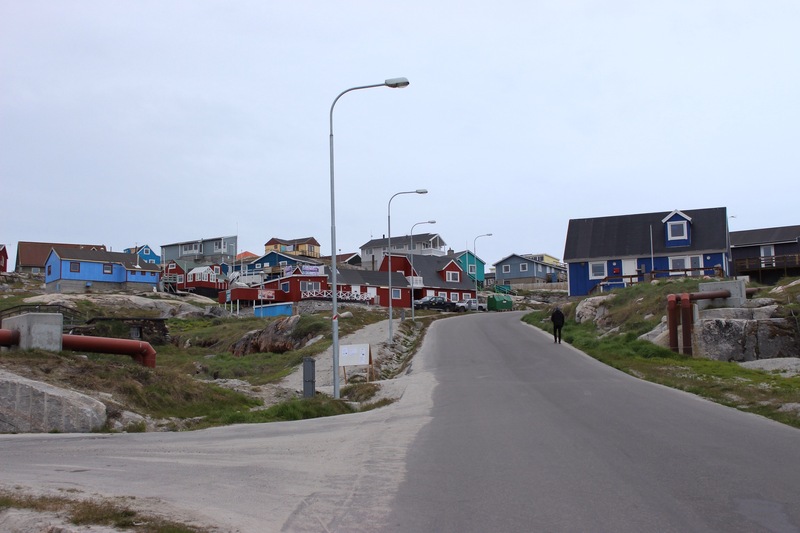 Formerly known as Jacobshavn, Ilulissat is Greenland’s third town with a permanent population of 4,500. 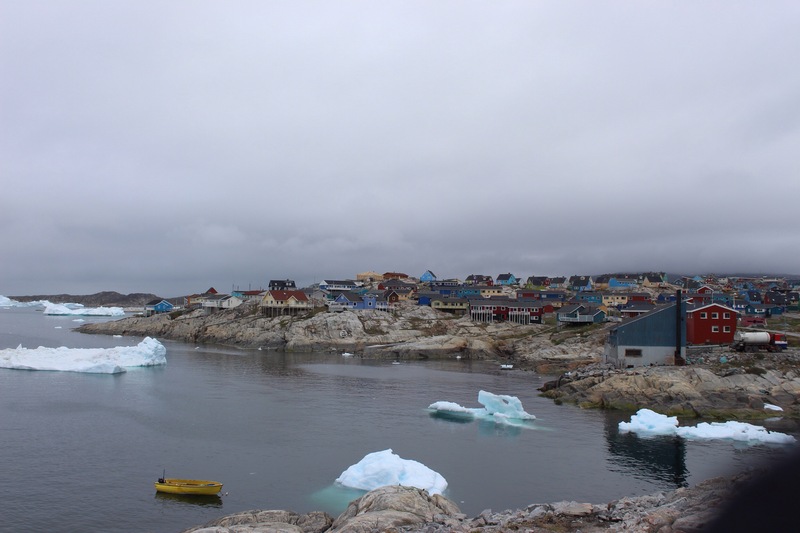 It is next to an ice fjord which at its internal end h﻿ouses Ilulissat glacier. 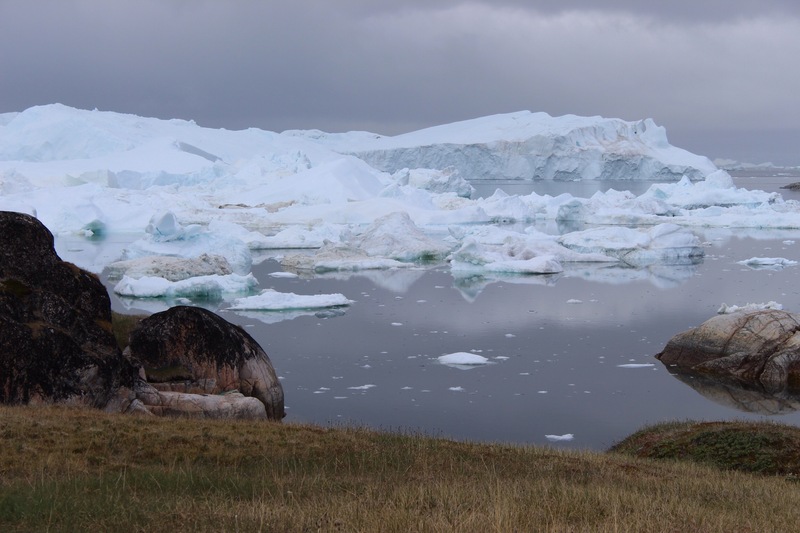 The glacier is ultra productive, moving up to 40 metres a day, producing 10% of Greenland’s icebergs, enough frozen water to cover the USAs annual water usage. We flew over increasing amounts of ice lumps, the only perspective the tiny white lines left by the boats wakes. Each white lump glowed blue below the surface where it’s remainder hid. We landed at the airport just beyond the town, a short 45 minute flight north west, and suddenly the outside temperature was 6 degrees, a big jump from the balmy 14. 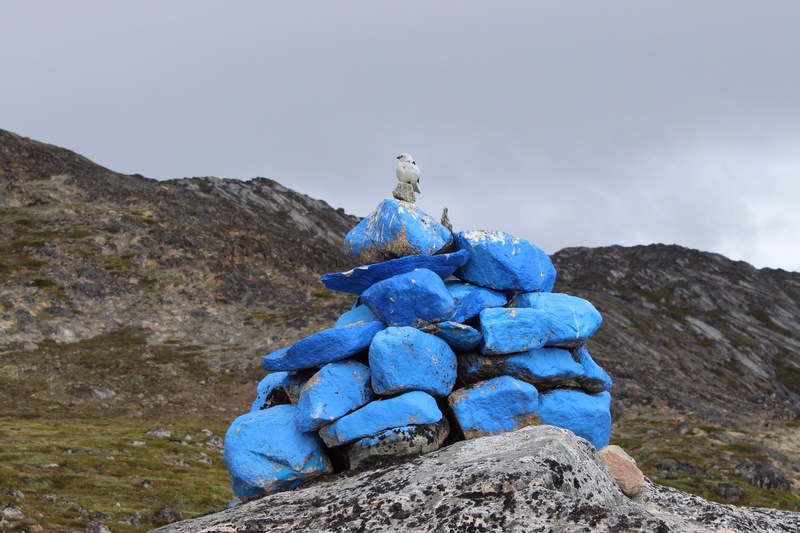 We collected our baggage off the tiny conveyor belt, hopped in a taxi and sped for town, past a white picket fenced graveyard housing a large amount of Inuit graves. Our hostel room was for two, mum and I, with a small kitchenette and a view of icebergs out the window. Icebergs have to be the pros at the kids game Grandmas footsteps, you appear to sit fast and unmoved, yet every time you look up, the formation of the floating cathedrals has changed. After a mammoth day of travel, endless in its light, it was all we could muster to grab some essentials from the supermarket, make an omelette and crawl into bed, vowing to explore in the morning. The town was hilly and the ground largely exposed rock. Each house sat perched on top, propped up on at least one side with stilts. The outlook was colourful and the light, even if overcast was bright, with light reflecting off the water and icebergs. 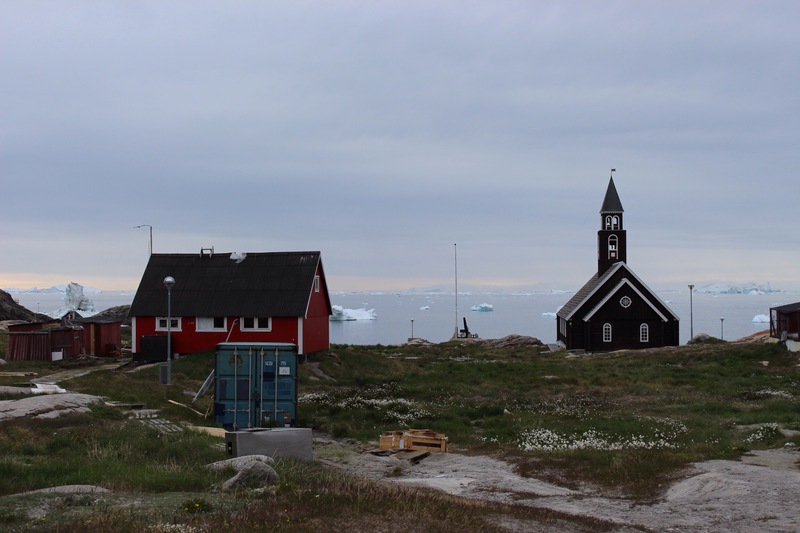 We booked in a few activities in the tourist centre and were assured that Ilulissat was full, although you seemed to see only a few of the same familiar faces around town. 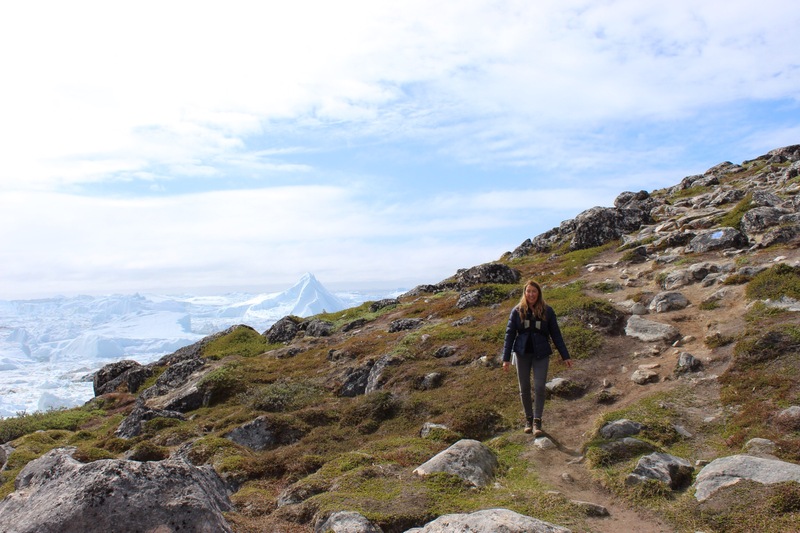 We set off to tackle the Sermimuit trails, Greenland’s UNESCO world heritage site. From the edge of town we clambered up past the power plant, looking back for a beautiful view over the colourful settlement, however just around the next corner came an even more impressive view. 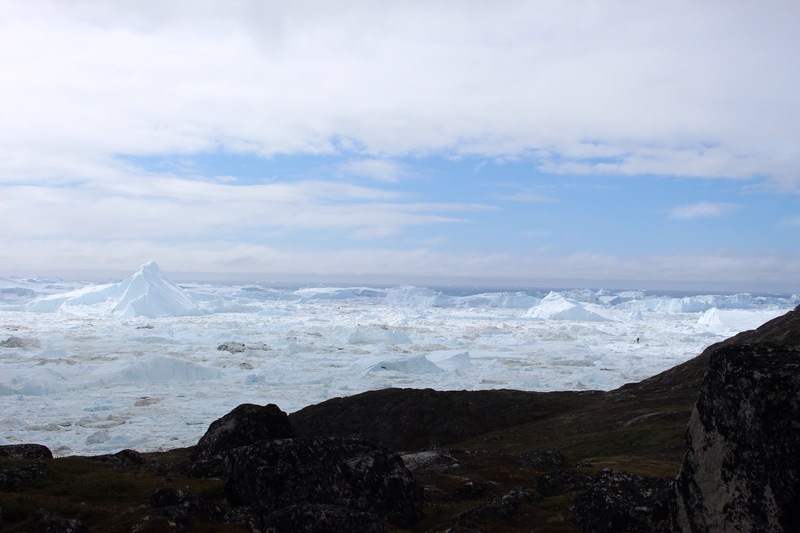 We were at the mouth of the Ilulissat icefjord. This fjord is 80km long with the glacier at the internal end, however the mass of icebergs were so densely packed it looked like the glacier still flowed right through. Every view revealed new shapes, cliffs, mountains and shards of ice of colossal size. 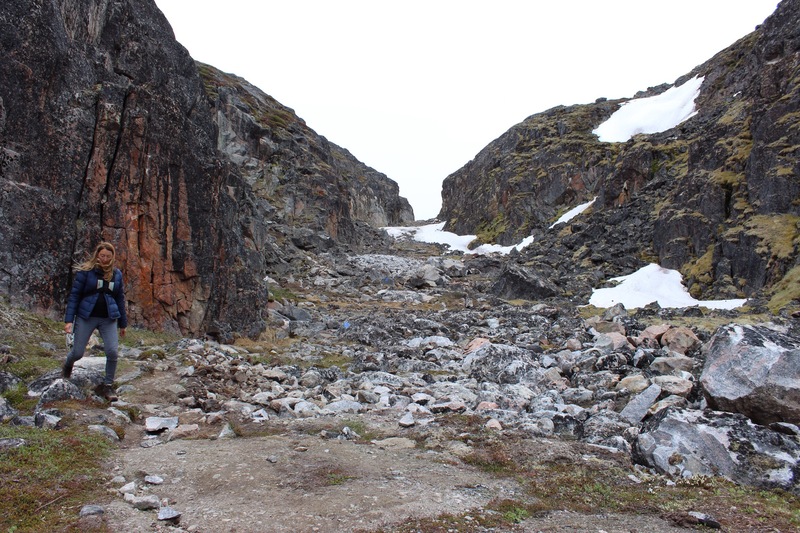 The trail continued to follow the edge of the fjord, climbing up and down over boulders to reveal different angles. The quiet of the hike was contrasted with the steep faces of the rock which meant the calls of the tame birds and the trickle of running water were magnified into deafening proportions. 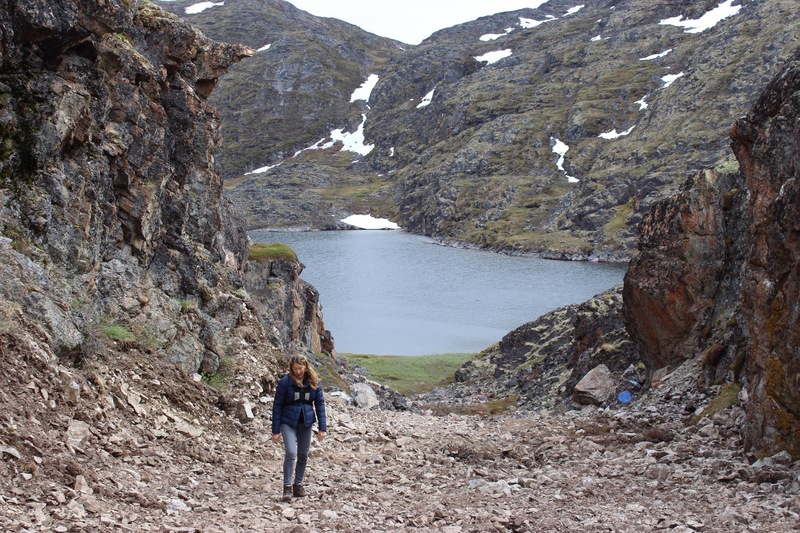 It was a tiring hike along to the quarry where a water body fed down into the fjord. 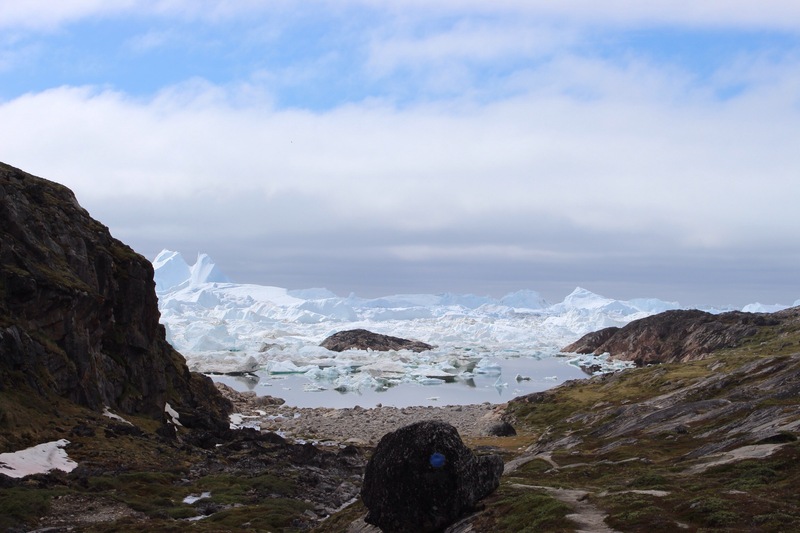 We then climbed up out along a river of boulders to a vantage point where you could once again see Ilulissat. Still quite far in distance, the narrow channel carried the howls of the sledge dogs from the edge of town. The path down crossed sheets of snow and precarious boulders. Entering the town from the back edge we passed through the rack shamble huts and area where all the sledge dogs are chained up, each with a wooden box for protection. 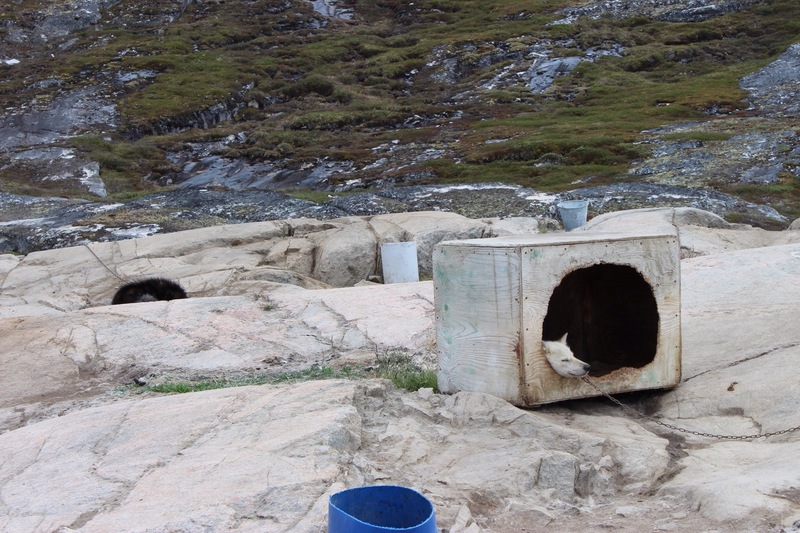 These adorable dogs work hard for 7 months of the year, pulling great weight on sledges, and now a lot of tourists too. Each is owned and must be chained for most of the day, fed great lumps of fish and meat in the evening. From this, the other side of town, we were able to walk through the more residential part where locals were just making there way through daily life. Why go? Incredible landscapes that will blow your mind. Money: They use Danish Kroner, and it will break the bank. Embrace the cost for a trip of a lifetime. 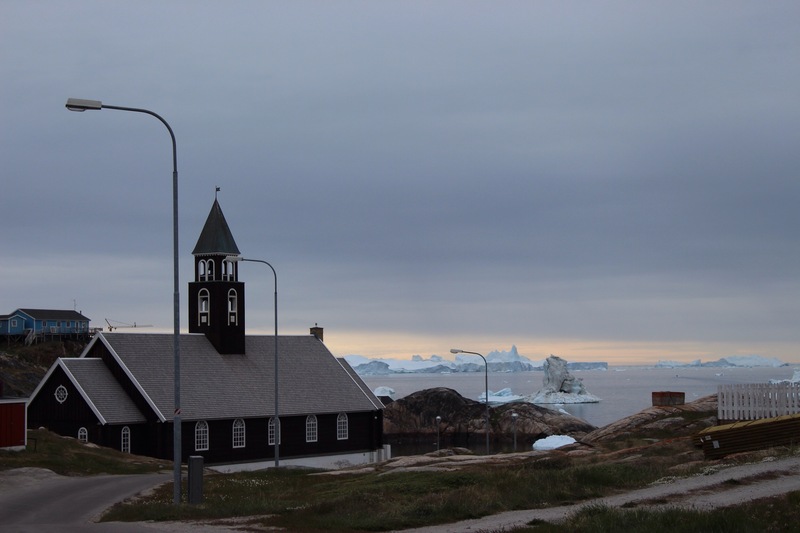 Language: Greenlandic, with its many double vowels and lack of the letter C. Danish is the second language, English the third, although there is a lot of Danish workers with fluent English.